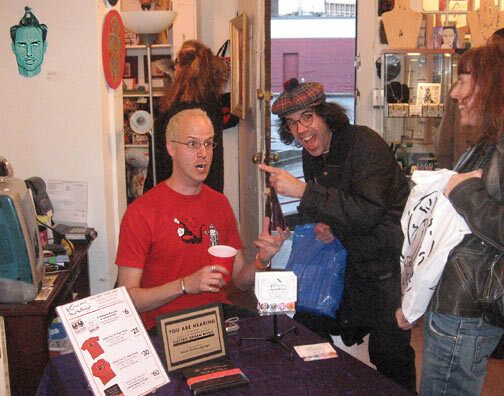 Michael Pilmer and Nardwuar (with a friend) discuss world events and rock n' roll at JEM Gallery. Notice the severed head of Tom Cruise (?) hanging in the background - One of many pieces by local artists in JEM's backroom.